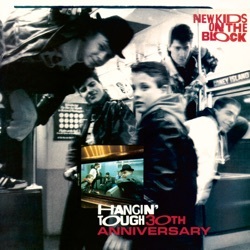 The success of “Hangin’ Tough” launched the five young men onto a dizzying rollercoaster of fame. Simply put, they still have the "Right Stuff." An opportunity to look past the screaming crowds and listen to the music. Classic album Nice to see this 30 year album still holding its own. People can say what they want but very few groups these days can match the success NKOTB had. And that’s a fact. wow like the new kids but 80s Baby.......its pretty BAD!!!!!!!!!!!!!!!!!!! And I don't mean GOOD!